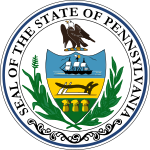 The Pennsylvania Gubernatorial election of 1990 was held on November 6, 1990. Incumbent Democratic Robert P. Casey easily defeated Republican Barbara Hafer. Governor Casey defeated Ms. Hafer by a margin of 35.29%, and carried 66 out of 67 Pennsylvania counties. Incumbent Bob Casey was challenged by Philip J. Berg, an attorney and perennial candidate from Montgomery County. Endorsed Republican candidate Barbara Hafer, Auditor General and former candidate for Lt. Governor, won a surprisingly close race over Peg Luksik, outspoken pro-life proponent. Despite his controversial stances on abortion, Casey had maintained enormous popularity in the state and was considered to have a generally positive record from his first term as governor. In addition to having the traditionally strong backing of urban voters and organized labor, Casey performed well in many heavily Republican, rural counties, as he was seen as a relatively conservative populist. Hafer, a pro-choice Republican, oddly often positioned herself as the more liberal candidate; she was unable to gain a funding foothold or to carve out a strong public image, which led to her defeat by a large margin. At one point during the campaign, she referred to Casey as a "redneck Irishman." This was widely reported, and helped to alienate both rural voters and those of Irish descent. Casey, winning with the second-largest gubernatorial landslide in the state in the 20th century, was able to win almost every county, losing only in Montgomery County by 586 votes. ^ The Pennsylvania Manual, p. 671. ^ The Pennsylvania Manual, p. 633. DiFlaviana, Kathleen, ed. (1991). The Pennsylvania Manual. 110. Harrisburg: Pennsylvania Department of General Services. ISBN 0-8182-0145-2.